Freight Sans Condensed is Here. 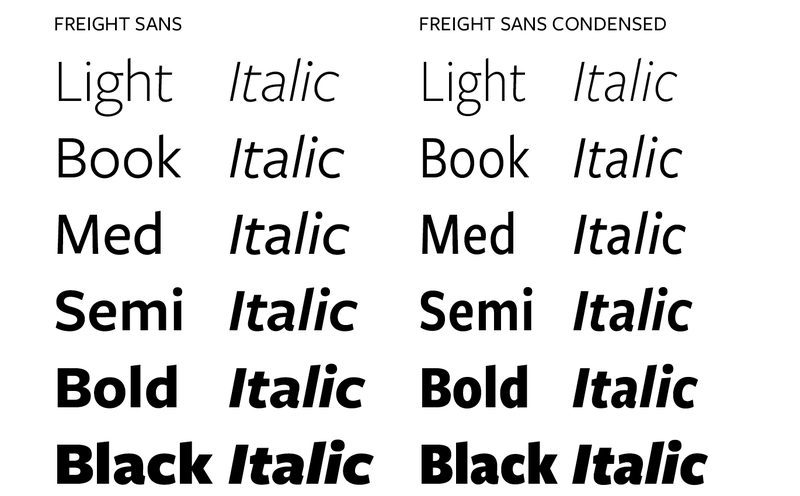 With yesterday’s update comes a much-anticipated extension to the already massive Freight Superfamily, Freight Sans Condensed. 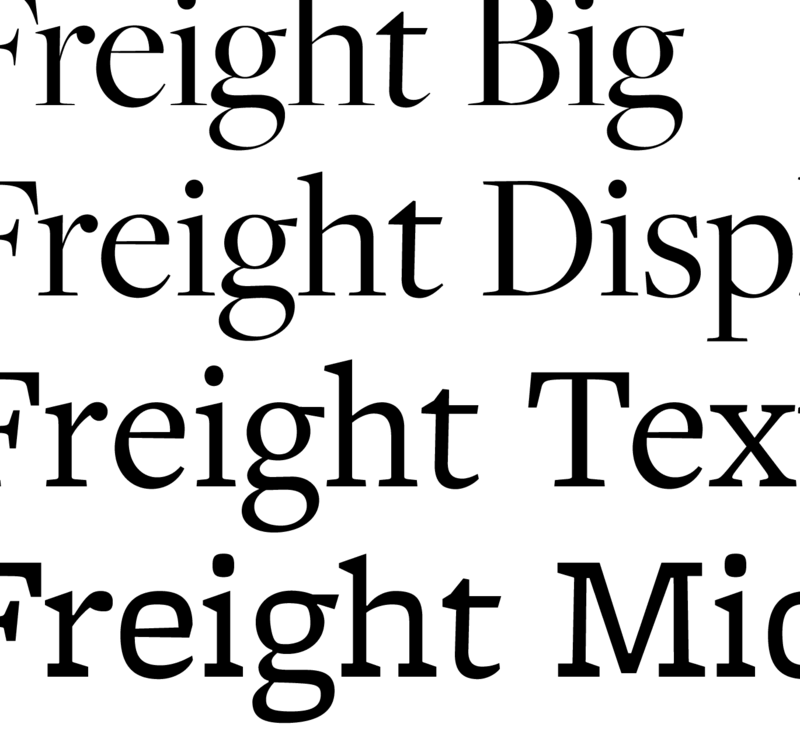 Joshua Darden’s Freight [Serif] is known for its ability to achieve just the right balance on the page due to its many available weights in four optical sizes. In corresponding weights, Freight Sans, and now Freight Sans Condensed offer a versatile companion that holds a common tone across widths. Freight is published by GarageFonts. Find out more about the family on the Freight Superfamily page.